Tag Archives for " slasher "
Remarkably this is the eighth entry in the Leprechaun franchise. Remarkable not necessarily for the number of entries but as the Leprechaun franchise has never been as well-loved as some of horror’s other iconic franchises and not only that it is one of the most critically reviled franchises in horror. To give you an idea of how much no fewer than four entries have a 0% score on Rotten Tomatoes. As you might surmise expectations for this newest chapter are suitably low especially as this is a made for Scyfy production. This latest instalment is also the second feature in the franchise not to feature Warwick Davis, the other being the god-awful “Leprechaun: Origins” which featured former WWE star Hornswoggle in the role and was the most recent entry until now. Not that this movie has anything to do with that one. 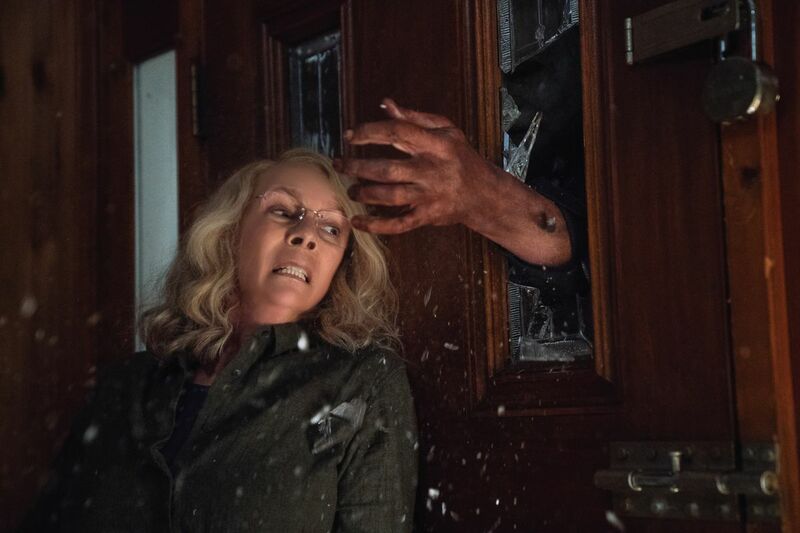 In fact, following the route of this year’s Halloween, this feature ignores all the sequels in the franchise and leads on directly from the original. Taking place 25 years after the events of the first film (which came out in 1993). The plot here centres on Lila (Taylor Spreitler) who is the daughter of the original films heroine Tory Reding (Who was played by a Pre-Friends Jennifer Aniston). She is returning to the house of the original at Devil’s Lake which is now an Eco-House run by a sorority. Unsurprisingly there is no return from Aniston, it is explained her character has passed away, but there is a fun cameo appearance Mark Holton who reprises his role as Ozzie from the original. The rest of the characters are your usual slasher fare. There is some effort to make Lila’s sorority sisters intelligent as they are all academic high-flyers instead of the bimbo characters associated with the sub-genre. However, as soon as the killing starts they end up being just as silly and two-dimensional as your standard slasher character. On the plus side little time is wasted before the Leprechaun is brought back to life and the killing begins. Here is where the films strength lies as there is plenty of amusing gory moments. Also while some may complain at Warwick Davis’s aforementioned absence, Linden Porco acquits himself well as the eponymous villain. Granted some of his rhyming post-kill one-liners grate but overall Porco delivers a fun performance equal parts mischievous and malicious. Spreitler’s also provides a good foil for them, and their interactions are amongst the film’s most entertaining. Not everything works some of the jokes clunk, most of the action is textbook slasher stuff, and the acting is the variable, but director Kostanski (The Void, Astron 6) keeps it all going at breezy pace and delivers some good kills in what is one of the better Leprechaun outings. 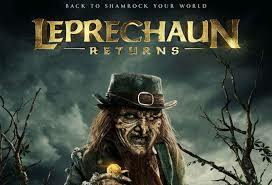 Overall: “Leprechaun Returns” might not be great but it is a solid enough reboot that is better than anyone had the right to expect.